One of the most important aspects of acquiring and maintaining top talent can be the benefit package you create as an employer. We will help you understand your obligations as well as provide solutions to your needs and objectives. This is our sweet spot. We also have strategies for Husband & Wife groups, 2 Owners looking for group coverage or Owner with one W2 employee. The individual market is becoming increasingly unstable. With rates increasing due to uncertainty, provider networks being reduced and insurance carriers dropping out of the market - we encourage the exploration of small group plans if possible. To help us better understand your employee demographics, please send us some basics to get started. If you do not already have an updated employee census, click on the excel icon to download a our census template in excel format. SEND to us via email. Let us know what you're looking to accomplish and we will reach out with guidance & solutions. Need an updated Employee Handbook? What about tough questions relating to a new hire that may take you hours to research on your own? We have a team of HR Pros available to you at no additional cost with our HR eShelf tool powered by HRWOW! Click the logo for a short 2 minute video. We've also strategically partnered with hand picked TPAs that specialize in COBRA, Section 125, and other administrative duties for small businesses....a few less hats for you to wear! Upon the implementation of The Affordable Care Act came in-depth administration & compliance. 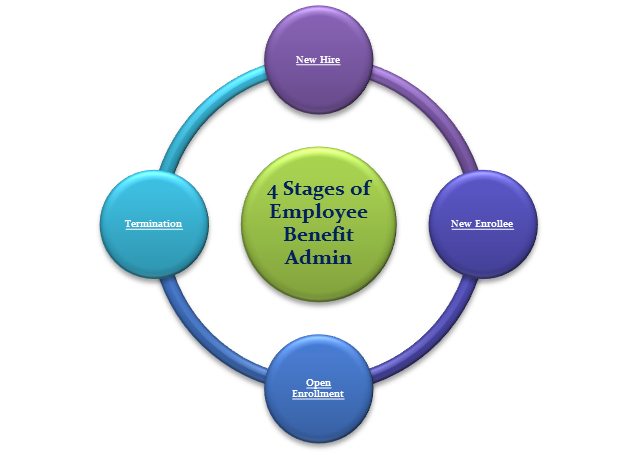 In response, we've developed "The 4 Stages of Employee Benefit Admin". A cloud file system that boils it down into easy to manage steps with template communication and model notices. Once a group plan is established, our team builds a personalized webpage (accessible by password) for you to give to your employees. This page will further enhance the over all communication experience providing employees a central location to view benefits and details about the package offered. We are really excited about this new feature and cant wait to show you! Employers with under 50 employees are not required to offer health insurance under the Affordable Care Act provisions. 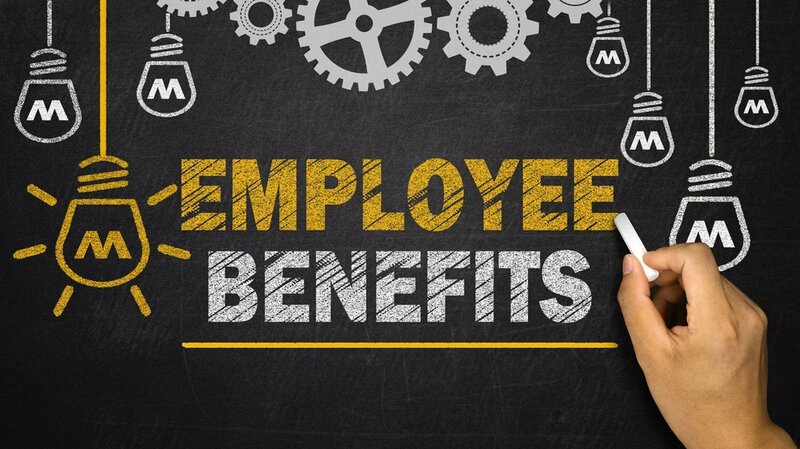 However, many already do or are actively in pursuit of adding employee benefits to their workforce. Attracting and maintaining top talent can be accomplished by giving employees access to benefits for themselves and their families. Employer contributions can be as little as 50% of the employee premium. Employees can then pay their portion PRE-TAXED thus reducing taxable payroll as a whole. This is a positive for both the employee and employer. We have creative ways of accomplishing budget goals while meeting respectable benefit package offerings. Call or email us directly to discuss your specific situation. Leon Rousso & Associates, Inc DBA LRA Insurance & Financial Services is an independent boutique wealth management and employee benefit firm advising some of the most innovative creatives and emerging companies in the entertainment, media,and fashion industries. Specializing in business management clientele.